Last year we brought you our complete guide to in-flight WiFi in the USA, but we thought it was time we catered to the rest of the world and gave a full rundown of all the major airlines that offer WiFi today. Services are a bit more fragmented than the US, as you might imagine given the wide geographical spread, but there’s still only really a handful of WiFi providers that can keep delivering your emails, LOLcats and the rest of the Web to you in the sky. While the information below is as accurate at the time of writing as possible, new aircraft are being fitted out with WiFi, and new routes are being added all the time. It’s probably also worth noting that there are a few spots in which you might not be able to use WiFi, even if you’re on a flight that is equipped. While in Chinese airspace, things are still a bit problematic for example. But even this looks like it could soon be rectified. Irish operator Aer Lingus operates a WiFi service on all its A330 aircraft on all its transatlantic routes, but it’s not yet available on European flights. The company notes that it is on the way though, starting later this year. Aer Lingus uses Panasonic Avionics’ in-flight connectivity system and allows Business class passengers surf for free, a one hour pass costs €10.95/$14.95 or a 24 hour pass costs €19.95/$24.95 . For that, you’ll get a download speed of approximately 1Mbps and an upload of around 5 Mbps. Obviously, with just 1Mbps downstream, don’t get too many aspirations of doing anything too demanding, but this is pretty much the case whoever is providing the service. Like many other airlines, Aer Lingus also provides power sockets for keeping devices juiced up during flights, in both Business and Economy class. As Russia’s flag carrier, it’s no surprise that Aeroflot has a functioning WiFi service (provided by OnAir) ready and waiting to go on several of its aircraft. At the beginning of last year, the company said it planned to have it installed on 26 of its A330 and Boeing 777 aircraft on long-haul flights by the end of 2013. Pricing is set at $5/$10 for 3MB/10MB on a smartphone or at $10/$30 for access via a tablet or laptop. In this instance $10 gets you 10MB and $30 gets you 40MB, so don’t go downloading too many large email attachments. Out of bundle pricing for most plans is set at $1.50 per MB, although it actually costs $1.70 extra per MB if you go for the cheapest 3MB smartphone-only option. Payment is taken by directly billing your card once the flight is over and your usage has been worked out. You’ll need to enter your VISA, MasterCard, American Express, JCB or Discover debit or credit card details to get access to the service. 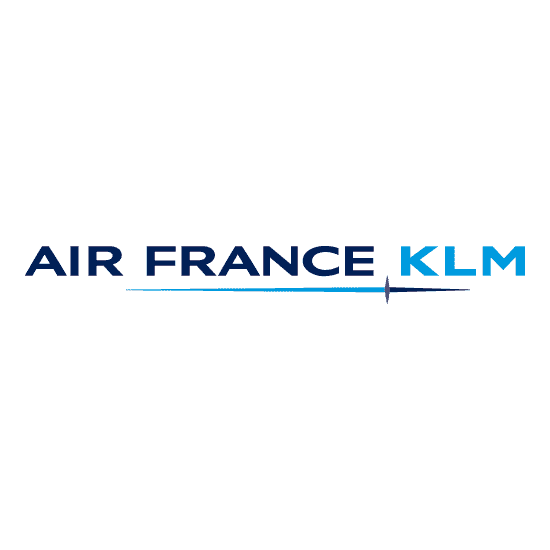 Air France and KLM Royal Dutch Airlines announced in May this year that they were both just beginning to start offering an in-flight WiFi service for passengers and would continue to test it out until the end of the year. It’s currently being offered on two Boeing 777-300s in the fleets and the first flights to use it were one to New York for Air France and Panama for KLM. Pricing for the service is set at €10.95 per hour or €19.95 for the duration of the flight. Naturally, it’s only operational once the aircraft has reached sufficient height – in this case, 20,000 feet. Underpinning the service is Panasonic Avionics’ in-flight WiFi services. British Airways is one of the first airlines in Europe to allow its passengers to use their phones from take-off right through to landing, so it’s no surprise to see that it’s also already providing WiFi in flight, as well as text services, on some routes. However, it’s still pretty limited right now with only customers flying the Club World London City route to JFK airport in New York able to access WiFi. For the record, these use BA’s A318 aircraft and fly the route twice per day. Pricing for using the OnAir WiFi service on board are set in package deals, with overage charged per MB. As with some other airlines that provide services via OnAir, passengers on these flights can also send and receive text messages, and emails, via their phone. A BA spokesperson confirmed that there is no charge for receiving an SMS in-flight, but that a roaming plan (on the customer’s own contract) is recommended for customers wanting to use the mobile services. Which is just pretty sensible mobile phone roaming advice, whether you’re on a plane or not. Cathay Pacific is another airline in this list that we were told was a Panasonic Avionics customer, but doesn’t seem to yet be ready to offer in-flight WiFi to its passengers. However, in September last year, the company’s general manager of Product told Australian Business Traveller that a timetable is nearly in place to start trialling the service. It seems the stumbling block has been finding a way to work around the lack of connectivity in Chinese airspace. We’ve asked the company if these plans have been updated since they were first announced and will let you know if there is a new timetable. Cebu Pacific Air struck a deal to offer WiFi and GSM connectivity via OnAir’s services back in 2012, and has since been rolling it out for long-haul flights – which launched in the middle of last year. The service is available on some Airbus A330 aircraft, and the airline now has the option to install WiFi on its fleet of short-haul Airbus A320 aircraft. Dragonair, a subsidiary of Cathay Pacific is a Hong Kong-based carrier, which we were also told is a Panasonic Avionics in-flight WiFi customer. However, Dragonair’s in-flight entertainment page doesn’t make note of WiFi services,or clarify that they will be offered in future. We expect that when Cathay Pacific has formalised its plans for providing passengers with WiFi, it shouldn’t be too long before it makes it across to Dragonair. 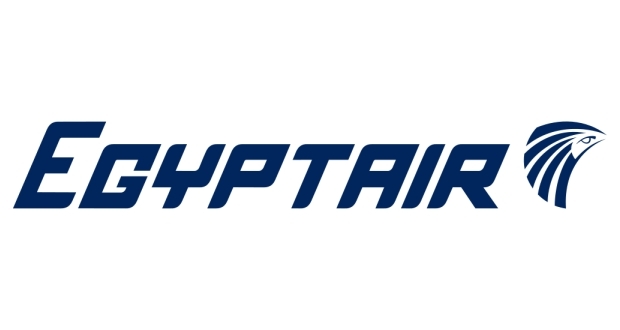 EgyptAir began offering OnAir-provided WiFi on its fleet of A300-330 aircraft back in 2010, and was actually the second customer of OnAir, behind Oman Air. As with other airlines here, it uses the full OnAir service that also offers telephony services over GSM (SMS, email) networks as well as in-flight WiFi. Packages are priced from $5 for a smartphone-only plan of 3MB or from $10 for limited access from a tablet or laptop. Emirates is another airline that uses the OnAir system to allow passengers to browser the Internet, check email and generally be a bit more productive while soaring through the sky. However, as with other airlines that use OnAir, prices can vary. On Emirates, WiFi price plans start from around $2.75 for smartphones and from $7.50 for tablets and laptops, depending on the amount of data you want to purchase, with a full selection of packages being made available once you have connected to the hotspot on board. OnAir is available on the majority of Emirates’ A380 flights and a select number of Boeing B777 flights. A number of these also include in-flight GPRS/EDGE mobile services (for email or SMS) too, priced comparably to international roaming. Etihad Airways in-flight services are a little less restrictive than some of the others in this list and also allows full mobile service on some flights. Perhaps a little surprisingly, there aren’t restrictions on video streaming services either, according to a spokesperson for Etihad, but the use of VoIP services like Skype are not permitted. Then again, at only ten years old, Etihad could be expected to be a little more forward-thinking than others. Etihad Wi-Fly is currently available on 28 wide-body aircraft (Boeing 777, Airbus A330 and A340), and is being rolled out on further wide-body aircraft in the future. The system, which is provided by Panasonic, includes WiFi and mobile phone connectivity (provided by AeroMobile), although calls to 1800/800 numbers are blocked, the company said. WiFi on board these planes will set you back $11.95 for a 2 hour pass, $17.95 for a 4 hour pass or $21.95 for access valid for the duration of your flight. However, that isn’t the only in-flight connectivity options offered by Etihad, as it also runs the OnAir service on three wide-body, and 12 narrow-body aircraft. The system includes mobile phone connectivity, and internet connectivity (on wide-body aircraft only). It’s considerably more pricey than the Panasonic options though, and will cost $10 for a mobile (only) package with 4MB of data, $20 for a mobile package with 8MB of data, $20 for a laptop/tablet package with 8MB data or $40 for 16MB of data. Clearly, while some streaming services might not be restricted, if you’re going down the OnAir route, it seems unlikely you’d want to pay for them. For example, streaming an HD 720p YouTube video for just five minutes uses around 37.5MB of data – somewhere around $90 at these prices. EVA Air is another that shouldn’t quite be included in this list, but as it’s due to take charge of its brand new Boeing 777-300ER aircraft any day now, WiFi services should be available before the year is out. Finnair is a bit of an exception to this list really, in that it doesn’t currently offer in-flight WiFi, but it wants to. Last year it carried out a trial using the OnAir service and Windows 8-powered HP ElitePad 900 tablets as portable inflight entertainment (IFE) devices, but Finnair’s director of customer entertainment, Jouni Oksanen, said that connectivity is “under discussion” but that the airline would rather adopt a time-based charging model, rather than the megapbyte-based charging of OnAir. For now, Finnair passengers will have to make do with the traditional in-flight entertainment system. Currently in service on its B777-300 ER aircraft, Garuda Indonesia plans to gradually introduce the same service on board the A330-200 and A330-300 fleets that operate on its domestic and international routes. As well as offering WiFi, the B777-300ER also offers live TV options. Garuda Indonesia is another user of Panasonic’s services and offers WiFi to passengers on a a flat fee basis : one hour for $11.95 or one day for $21.95. Obviously the airline changed its mind about using the OnAir service instead, as was announced back in 2012. Gulf Air’s in-flight WiFi is underpinned by Panasonic Avionics’ connectivity platform and is available on its A330 aircraft on long-haul flights. Priced at $15 per hour for WiFi access, it’s not perhaps the cheapest option – but that does get you unlimited data usage. A 24 hour pass will set you back $30, but might work out better value if you plan on using it for more than just checking your email. Hong Kong Airlines is another carrier that uses the OnAir system, but it only does so in a limited way. 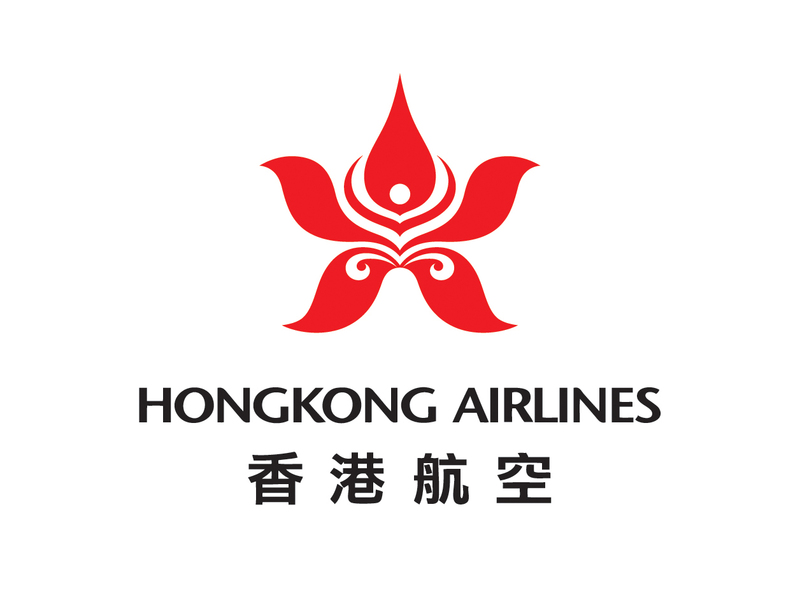 Rather than operate it on all its routes and aircraft, Hong Kong airlines only lists it as offered on its A330-200 aircraft travelling between London and Hong Kong. While this restricts it’s usefulness somewhat, it’s not to be sniffed at as the service is currently free, subject to bandwidth restrictions. With pricing for OnAir-powered services usually starting from $5 for just a few MBs, free certainly does sound pretty attractive. Iberia announced in July last year that it would soon be offering WiFi on a range of flights, but is still waiting on the go-ahead from the Spanish aviation authority for some of its aircraft, a spokesperson for the company told The Next Web. All of Iberia’s A330 aircraft (five of which are already in service, and three more are set to arrive “in the next few months”. These planes largely fly from Madrid to the US (Miami, New York, Chicago and during summer, Boston). Other than the A330, Iberia plans to offer WiFi on its refitted A340-600 craft. Four planes have been refitted already, and the remaining 13 will be equipped during the next year and a half. These planes generally fly to one of 14 Latin American destinations. Icelandair is one of the few companies in this list to use an in-flight WiFi service not provided by Panasonic Avionics or OnAir, rather, it is delivered by US-based Row 44. Or rather, it would be if it had gone according to plan. While Icelandair first announced the deal with Row 44 back in 2012 with a view to getting its fleet fully installed by Fall 2013, it seems that the time scale has slipped a bit. In September last year, CEO Birkir Holm Gudnason told the Apex Editor’s Blog that “if the entire fleet is not equipped for Wi-Fi in 2014, it will be complete by the following year”. So, it should arrive any time now. Should. Japan Airlines’ WiFi service operates on its flights between Tokyo (Narita) and New York/Los Angeles/Chicago/Frankfurt/London/Paris and on flights between Tokyo (Narita) and Jakarta. Like other Panasonic Avionics’ provided in-flight connectivity, it’s priced at $11.95 for one hour’s access and $21.95 for 24 hours. However, you can save a little bit of these prices (making them $10.75 and 19.75 respectively) by using a JAL Card, JAL USA CARD, JAL / Shanghai Pudong Development Bank Credit Card. To get going aboard, just connect up to the JAL SKY Wi-Fi hotspot and input your details. 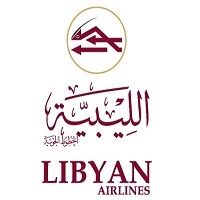 Libyan Airlines has been offering its passengers an in-flight GSM and WiFi service provided by OnAir for some time now, with the first A330 delivering WiFi connectivity in May 2013 on long-haul flights from Tripoli. As with other OnAir-provided services, pricing for the service is based on the amount of data you use. Mobile GSM services are also available, as well as on its A330-200 aircraft. Lufthansa uses the Panasonic Avionics system to offer in-flight WiFi to its customers on more than 90 percent of its long-haul flights under the branding of Lufthansa FlyNet, making it one of the best-equipped airlines for providing WiFi access (in a fleet sense). Its A380 Aircraft are also increasingly being fitted out with FlyNet. Customers heading for, or over, China, will not be able to use the service while in Chinese airspace, and customers on flights to Cape Town are also not offered WiFi access, as there is insufficient satellite capacity on the route. South African carrier Mango Airlines, which launched relatively recently back in 2006, is the only airline in this list to offer WiFi services via the G-Connect service. Pricing is a little lower than OnAir’s services too, at ZAR29 (~$3) for a 30MB in-flight bundle and ZAR49 (~$5) for a 60MB package. Pre-paid Top-ups can also be used to purchase in-flight WiFi and are available for between ZAR50 – ZAR200. Norwegian is one of the few airlines on this list that actually excludes WiFi on long-haul flights, but does offer it on flights within Europe. As of July 2013, 60 of its 66 Boeing 737-800 aircraft have WiFi on board and in September 2013, it nabbed the Passenger Choice Awards 2013 in the category “Best Inflight Connectivity and Communications”. Interestingly, since introducing the WiFi service back in 2011, Norwegian continues to offer the service for free and hasn’t said how much it will cost, if it does indeed start charging. Oman Air, official airline of the Sultanate of Oman, has been offering WiFi and GSM services aboard its A330 aircraft since 2010. Provided by OnAir, access is charged according to what kind of device (smartphone or tablet/laptop) and how much data is used, with prices starting from around $5. Between January 2012 and January last year, the airline said customer take up of in-flight WiFi had increased 120 percent. Philippines Airlines started offering its WiFi service powered by OnAir in July 2013 on long-haul flights using a fleet of retrofitted Airbus A330-343s and Boeing B777-300ERs. Bonus fact: PAL was OnAir’s 50th customer. Qatar Airways’ WiFi service is available on all of its B787 Dreamliner aircraft and, like others airlines in this list, also offers inflight mobile services on select A319, A320, A321 and its Boeing 787 Dreamliner. As the service is provided by OnAir Internet, it costs roughly the same as any other operator using the system – i.e., with costs being comparable to international roaming for texting or emailing via your phone. Costs for accessing the OnAir hotspot are available on the portal on-board, but are in-line with other airlines in this list that use OnAir services. Royal Jordanian airlines is another to use the OnAir in-flight GSM and WiFi system. It’s available on 11 of the airline’s Boeing 787 planes, but there’s a catch – they aren’t due to come into service until towards the end of 2014. Saudia Airlines uses the same OnAir in-flight connectivity package for calls, texts, emailing and Internet access as many of the others in this list. Currently available for its Airbus A330 aircraft and selected Boeing 777-300ER aircraft. As with other OnAir users, GSM (calls, SMS, emailing) activity is charged directly to your phone bill, while a credit/debit card is required for WiFi access. The service is priced from $5 for 3MB of data on a smartphone, and from $15 for 10MB on a laptop or tablet. Scandinavian Airlines (SAS) is currently in the process of trialling on-board Internet access on its 737-800 fleet that fly within Europe. As it’s still in its infancy for SAS, the in-flight WiFi service might not be available on every flight yet, but if you’re a EuroBonus member or SAS Plus or SAS Business traveller, WiFi is free. For passengers that aren’t either of those things, WiFi access is priced at $10 (€8) for flights within the Nordic region and at $15 for flights within the rest of Europe. Singapore Airlines is “progressively” making WiFi available across its entire A380 and Boeing 777-300ER fleet of aircraft. And as with many of the others, it’s provided by OnAir, so the same SMS, data roaming and WiFi services are available. While it brings the same features, it also brings roughly the same pricey charges: 26MB of internet access for $29.95 or 10MB for $11.95. It’s worth noting, again, that OnAir allows you to continue browsing uninterrupted even if you exceed your agreed data plan by charging you an excess, priced at $0.15 per 0.5MB. If you agree to carry on browsing once your data has run out, the excess is charged directly to your credit card. Singapore Airlines also offers in-seat power on its A380, A330-300 and Boeing 777-300ER aircraft in all classes. A universal adaptor is required, except on the A330-300. The Portuguese airline TAP has been offering in-flight WiFi since July last year. At introduction, the WiFi was only available on some of its A330 aircraft on transatlantic routes between Europe and north and south America, but it planned to use the OnAir WiFi service on its fleet of A350 planes too, once they take to the skies. The service allows users to access the Internet via WiFi from mobile devices, tablet and laptops alike and costs a €6 for 4MB of data and €12 for 10MB. Obviously, with these kind of prices, we’d expect to see any particularly demanding uses of the service, like streaming video, off-limits. Thai Airways first announced it was launching a WiFi service back in 2012, but has since been caught up in some regulatory red-tape that delayed things for a fair amount of time. However, in August last year, Thai Airways received permission to go ahead and start offering the services, so it shouldn’t be long now. Transaero Airlines is another carrier based in Russia that offers WiFi on a range of its flights. In fact, it has done so since 2012 and it’s currently available on onboard 13 aircraft of the airline including seven Boeing 747-400, four Boeing 777-300 and two Boeing 737 which serve as corporate retainers. Transaero Airlines’ WiFi service is currently going through an expansion phase that should see it made available on a fleet of 30 mid-haul and long-haul aircraft by “the beginning of 2014”. The service is increasingly available on routes between Moscow and popular domestic and international destinations including Sochi, London, Rome, Milan, Frankfurt, Dubai, Vienna, Yerevan, Shymkent, Aktau, Almaty, Tomsk, Krasnoyarsk, and Yekaterinburg. The company uses Panasonic Avionics’ in-flight connectivity system for some of its aircraft (Boeing 747 and Boeing 777 long-haul routes), while other aircraft use services provided by Route 44. Pricing for the service on long-haul flights costs RUB 800 (about $25) for the duration of the flight, or RUB 400 (about $12) per hour. Passengers on medium range flights on Boeing 737NG aircraft will pay RUB 600 (about $18) for all-flight Internet connection or RUB 300 ($ 9) per hour. WiFi was announced for some Turkish Airlines routes in March last year (alongside LiveTV nonetheless, a first in Europe) and is provided via the PLANET IFE Platform, a Global Communication Suite System developed by Panasonic Avionics. Turkish Airlines is one of a small handful in this list that offer the service for free to its passengers. Whether this will remain the same in the future as more users want to access the service remains to be seen. Additionally, and like other airlines in this list, Turkish Airlines also offers inflight mobile services at around international roaming cost. Virgin Atlantic is another airline in this list that, sort of, offers access to the Internet while in the air. However, rather than use OnAir or Panasonic, the company uses the Aeromobile service, which allows passengers to send texts, emails, make calls and connect to the Internet through data roaming. And while this can be used to tether to a tablet, laptop or other device, tethering without a service plan in place can be a very expensive decision indeed, as Virgin Atlantic also warns. Aeromobile is available on all half of Virgin Atlantic’s fleet based at London Gatwick and selected aircraft at London Heathrow and Manchester airports.